"Each year, privately owned motorcoaches play a key role in our nation's passenger transportation system, accounting for over 762 million passenger trips. The 3,200 companies that make up an industry of small businesses form the backbone of a transportation network that provides essential mobility, economic and environmental solutions for millions of Americans. Logging over 1.8 billion miles, today's motorcoach operators provide safe and efficient transportation as stated in published reports from the Fatal Accident Research Statistics (FARS) and reported by the National Highway Traffic Safety Administration (NHTSA) and by third-party groups like the National Safety Council. An examination of the data for just intercity bus service reveals that over the last 10 years motorcoaches are the safest form of highway transportation. While motorcoaches historically have been one of the safest forms of transportation, it is always a tragedy when accidents occur. In truth, fatal motorcoach accidents have been a rare occurrence over the past ten years, but one fatality is one too many. The American Bus Association has worked with the U.S. Department of Transportation and lawmakers to enact legislation that aims to reduce bus accidents. We believe that through aggressive enforcement, driver training, advanced safety equipment and inspections, we can reduce the number of accidents. ABA fully supports the 'Motorcoach Safety Action Plan,' put into place by the Secretary of Transportation Ray LaHood. The Secretary's Plan takes a holistic approach to motorcoach safety, including more aggressive enforcement to get rogue operators off the road, providing educational outreach to enhance operator safety oversight, establishing new performance standards for motorcoach structures and component parts such as seatbelts and focusing on enhancing emerging technologies such as crash avoidance and event data recorder systems. But existing and new regulatory and legislative mandates will not get bad operators off our nation's roads. When a documented history of safety mismanagement is identified, enforcement needs to be better coordinated with activities at the federal, state, and local levels. While ABA supports and embraces the enforcement efforts of the Federal Motor Carriers Safety Administration (FMCSA), and its leadership, more needs to be done to shut down unsafe bus operations. In some cases 'more' means confiscating buses and closing down their facilities to keep unsafe operators from transporting passengers, not just a letter revoking operating authority. Following a review of fatal motorcoach accidents occurring from 1999-2009, more than 50 percent of the fatalities could have been prevented if the operators involved had not been allowed to operate. Many of the carriers involved in those tragic accidents had serious safety violations that should have placed them permanently out of service. The U.S. Department of Transportation has found that only half the States had any commercial motor vehicle (CMV) inspection program comparable to, or as effective as, the federal inspection requirements (63 Fed. Reg. 8516-8517, Feb. 19, 1998). Of that number, only half a dozen states have been determined to have a dedicated bus inspection program. Moreover, between FY 2005 and FY 2009 there have been fewer than 200,000 combined bus vehicle and driver inspections for out-of-service violations annually, compared with over five million combined truck vehicle and driver inspections each year. That is, only one out of every twenty-five inspections involved a bus, the carrier of fifty-five passengers, and unfortunately many of those bus inspections were conducted on the same few large fleet operators. We hope that in this era of tightening budgets, that the number of inspectors and state police available to enforce the existing rules for motor carriers is not reduced. ABA supports Secretary LaHood's call for increased federal funds for the Motor Carrier Safety Assistance Program (MSCAP) to help bolster enforcement at all levels. 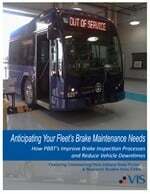 ABA would ask that at least 10 percent of those funds be made available for a certified motorcoach inspection program. Motorcoach safety has and continues to be our industry's #1 priority."